come enjoy a cocktail with our amazing and talented resident jazz singer, Tina! A live jam every tuesday night at the kibitz room. Sign up begins at 5:50pm. Adjacent to Canter's dining space is the Kibitz Room, a 1961 addition that is also a cocktail lounge. It is a particularly congenial haven for music, featuring a full bar and small stage. Every evening the Kibitz Room is jamming with local bands and has become something of a Los Angeles scene. 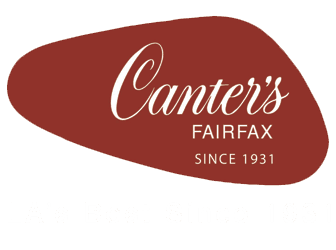 Back in the 60’s, bands like The Doors and The Byrds along with Frank Zappa and Arthur Lee would meet at Canter's to exchange stories, girlfriends and eat. By the 90's informal star-studded jam sessions began taking place in the Kibitz Room on Tuesday nights where groups would schmooze, and kibbitz. Many, including Joni Mitchell, Rick James, Slash and members of Guns N' Roses, The Wallflowers, and members of the Red Hot Chili Peppers, have come to the Kibitz Room to hang out, sing, play, and most importantly to eat and drink. Now there is something going on in the Kibitz Room every night of the week. Most nights turning into jam sessions by midnight. Did you know that the word 'Kibitz' is the Yiddish word for offering friendly advice or wisecracking? The Kibitz Room is open daily from 10:30am - 1:40am. Call (323) 651-2030 for more information.